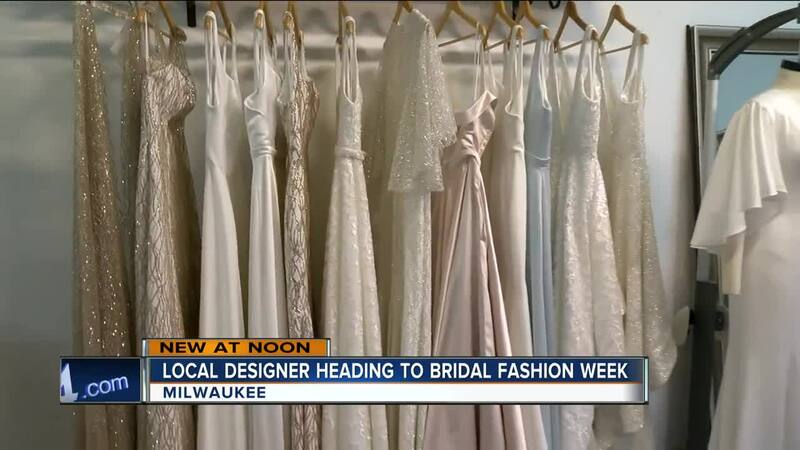 Milwaukee designer Amanda Jennings is taking her collection of wedding dresses to New York City for New York Bridal Fashion Week. MILWAUKEE -- From the cream city to the big apple —a Milwaukee designer is on her way to New York City to debut her latest collection during New York Bridal Fashion Week. It’s a Cinderella tale of sorts —Milwaukee born and raised designer, Amanda Jennings, once handcrafted designs under the name Minkmaids, but just as Cinderella went from maid to majesty, Jennings and her designs have evolved too. “I want to build a love-centered business," said Amanda Jennings. "So, love lives here. Right here, where I am." 'Love Lives Here' is now also the name of Amanda's Bay View-based design studio. She started sewing under her grandmother’s instruction when she was just 9-years-old and now she wants to continue to cultivate a community of designers in Milwaukee. “I don’t want other people to look down on this city," said Jennings. "I want them to see the love that it offers and the support that it offers and I want to be a part of that." Amanda is now preparing to head to New York City next week and she’s taking her new designs with her. There, she’ll show off her dresses during New York Bridal Fashion Week —but if you’re wondering how to ensure it’s an Amanda Jennings's design, she said you can also check for something special sewn inside. “I sew a penny into every dress that I make to show there's a little extra love and a little extra luck sewn into your dress,” Jennings said.